Roofing can be complex. 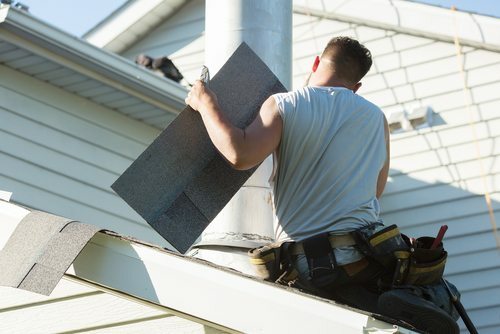 If you’re a homeowner looking for work done on your roof, be aware that it can also be expensive if you don’t have the right roofing contractors! Most people aren’t experts on roofing. Unfortunately for homeowners, that description also applies to some contractors. Some companies can do some of the work but aren’t able, or competent, to do other work. That can be a major issue for you and your roof. The fact is that roofing structures, and roofing problems, can be multifaceted. You need a company that can not only do the work, but can identify risks and understand the work that needs to be done. Leaks can damage roofing timber structures and roofing integrity. Leaks can penetrate the lower roof, entering the ceiling and affecting wiring in the roof and elsewhere in the house. The leak is actually multiple leaks; the interior leak from the roof needs to be found and sealed. Buildup of moisture, moulds, and weakened structures in the roof need to be found and fixed, ASAP or this mess can get a lot worse rapidly. Those few points are indicators of the risks of very expensive, even dangerous, damage from a single leak. What appears to be a simple leak often requires expert repairs and structural work or the roof could be in big trouble. It could even fall in if structural timbers are compromised. That sort of problem equals a huge amount of money to fix and the house may even become uninhabitable until it is safe to live in. That’s obviously not the sort of situation where you want “half a job” done. Unless the roof is thoroughly inspected and fully repaired, you might as well be throwing money out the window. OK, So How Do You Define the Right Roofing Company? Roof installation: This means they can build and install an entire roof. Re-roofing: They’re able to replace a whole damaged roof. (Re-roofing is a better option than trying to fix a severely compromised roof, which, ironically, is also more expensive than re-roofing. They supply all materials for the job: This is a lot better than multiple contractors, who can only do partial work, and multiple contractors are also far more expensive. Strong emphasis on workmanship: These are the real experts who do a much better job and take pride in their services. Need A Top-quality Roofing Company in Perth? Roof Top Industries is your local do-everything roofing company in Perth. We’ve been in business for over 35 years. We offer a full range of services from new roof installation to re-roofing, roof repairs, and top-quality roofing supplies. Give us a call, or contact us online whenever you want a great roofing job and friendly expert service.